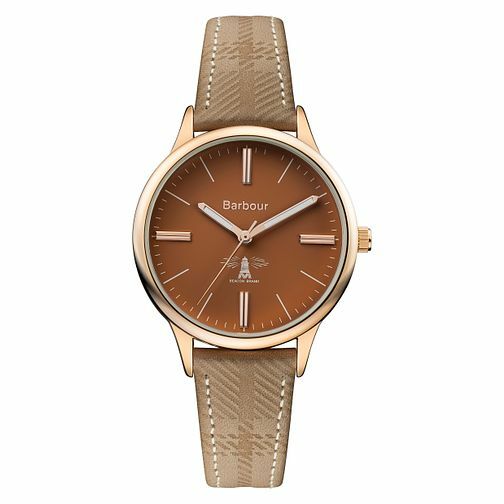 Embrace the earthy, autumnal tones of Barbour's Embleton, showcasing trending colours and style sensibilities. The strap is embellished with tartan stripes and neat stitching, leading up to the case which is plated with luxe rose gold. The quarter-hour markers are doubled up in width in order to create a sense of ordered symmetry. Wear as an extra embellishment with your autumnal attire for easy style points.